I am waiting for Christmas break and I did get some Christmas gifting and shopping done this weekend. I think we have all the Christmas presents either bought, thought out, or made. I have two boxes that need shipped this week to the nieces and nephews. I think we are almost done. A while back, I mentioned using a quart-size paint can to package a cheese-ball kit. Well, wouldn’t you know it? An 8-oz. pineapple can is too big to fit in. Doh! But, you can stuff a lot of cool stuff in a gallon-sized can! 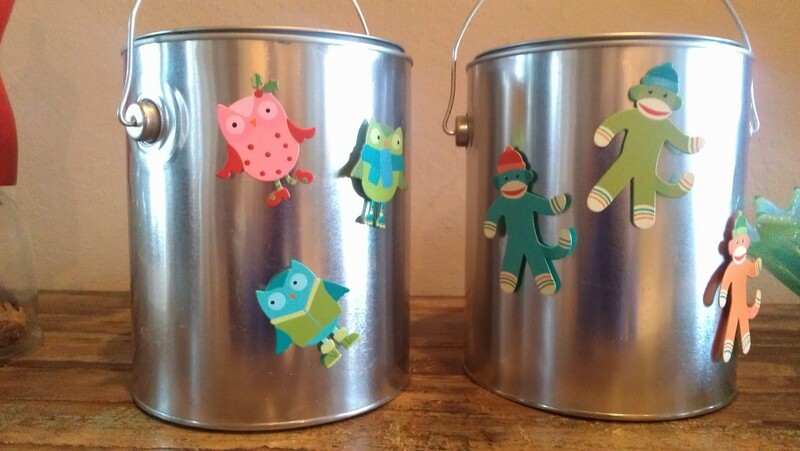 And, some really cool magnets can be stuck on these metal cans. I hope the nieces will like their art kits! Now, the only thing we have left to stick in this box to ship is a gift for their dog, Pete. I bet I could stick some delicious doggie-treats in that quart-sized can. What a super cool gift idea, wish I was one of your nieces and nephews! I’m so stealing the empty paint can idea, the possibilities are endless! 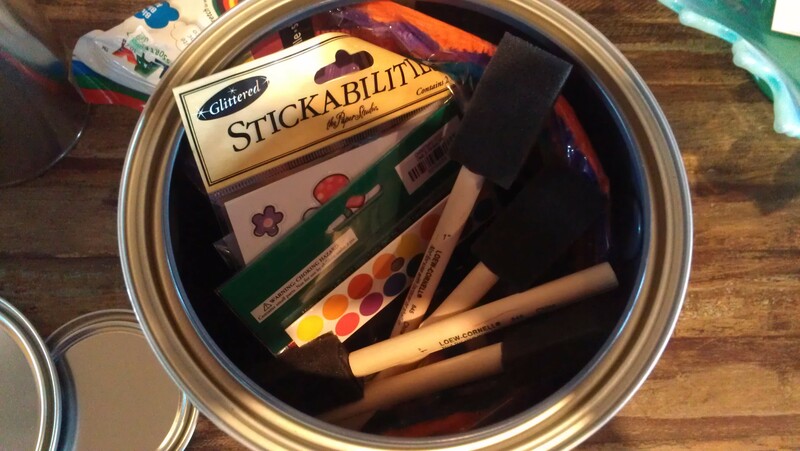 I just love this idea – where does a person get new paint cans? Michaels? Hobby Lobby? I got these at Home Depot. Thanks, CCU. I love those sock monkeys. I wish I had bought some for me. I sure love the idea! My dog would love a container of doggie treats…Pete will, too! For being a baking blogger, I am WAY behind on baking…you’re not alone.